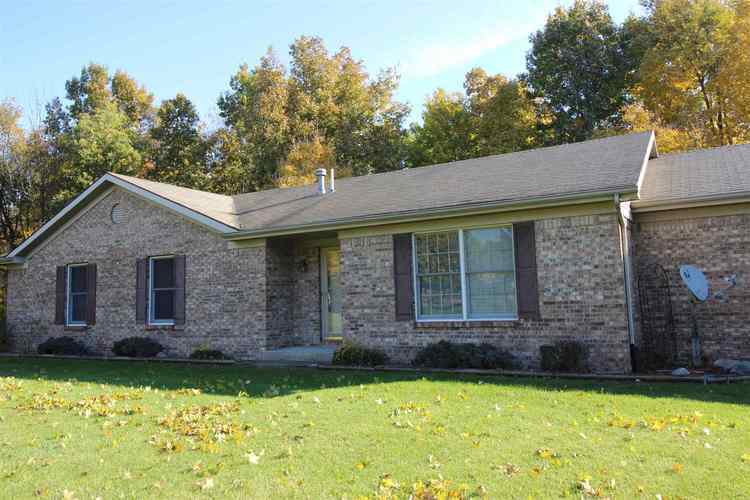 Three bedroom, 2 bath brick ranch on 6 acres. Open concept living room, dining room and family room. All appliances can be stay with property. Family room features a gas fireplace and opens to a rear deck, perfect for entertaining. Back part of property is wooded and perfect for outdoor fun and enjoying the fresh air. Storage shed as well as a pole barn. Front of pole barn has 2 over head doors and concrete floors, rear portion is set up for horses. ERA Home Warranty. Directions:3 & 38 and 3 & 70 – North on 3 to Co Rd 200 N, east to Co Rd 50 E, north to property on right.